1 year subscription allows you to use this product for 1 year and renew if you're satisfied. You will receive an email notification 7 days prior to the end of the subscription, which will include instructions to either renew for another year or cancel the subscription. Purchase license for one-time fee and free lifetime update. Multiple-user license for business to share free lifetime update. 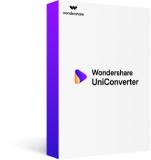 Buy UniConverter (Video Converter Ultimate) starting from $7.96! Students save up to 60%. 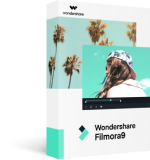 Whether you are a student at school, or a teacher teaching 5th grade, giving lectures at a university, or creating video workshops, you can qualify for Wondershare UniConverter's educational discount. Use this form to contact us and learn more. Please complete the information below; we will get back to you within 24 business hours. UniConverter won't keep, modify or leak any information in your video file. We take your personal data and account seriously. You're always the only person who can access it. The trial version of UniConverter is restricted to convert only 1/3 length of video, burn 1/3 length video to DVD, download 5 video files from online sites, record limited video and cast 5 minutes video to TV.